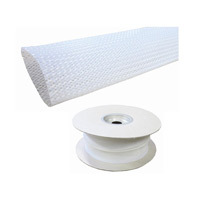 Braided Sleeving in low smoke, low toxicity and halogen free polyester material supplied on a 25 Metre continuous roll. 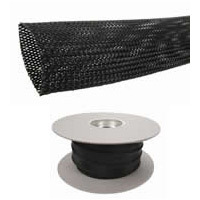 This expandable sleeving is suitable for protecting cable bundles ranging in diameter from 28mm up to 47mm. As a general guide, this braided sleeving should accept up to 24 x Cat5e U/UTP cables or 18 x Cat6 U/UTP cables. 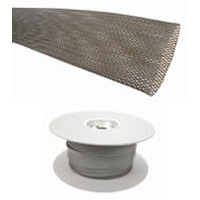 Braided sleeving is lightweight self-fitting, flexible sleeving that provides tough protection for bundles of data telecommunications cables. 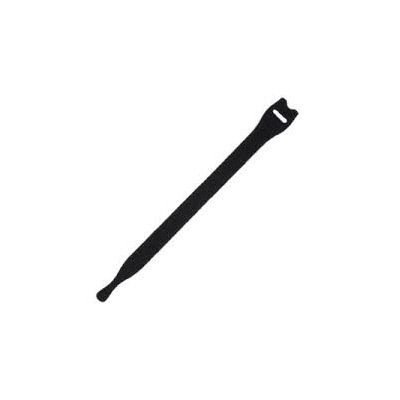 The special structure of the low smoke, low toxicity and halogen free polyester braiding keeps out moisture and dirt, offering superior cable protection. 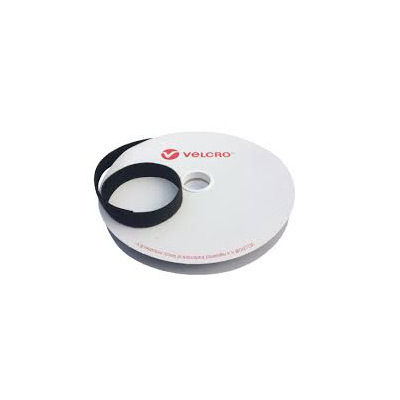 The push back expansion effect of this 28x47mm expandable sleeving is ideal for use with cables up to a maximum diameter of 47mm. Colours Available: Black, grey or white. Flame Resistance: Passes Flame Requirement of CEI 332-1, FMVSS 302 (Type A) 12 According to NF F 16-101. Chemical Resistance: Unaffected by most chemicals.